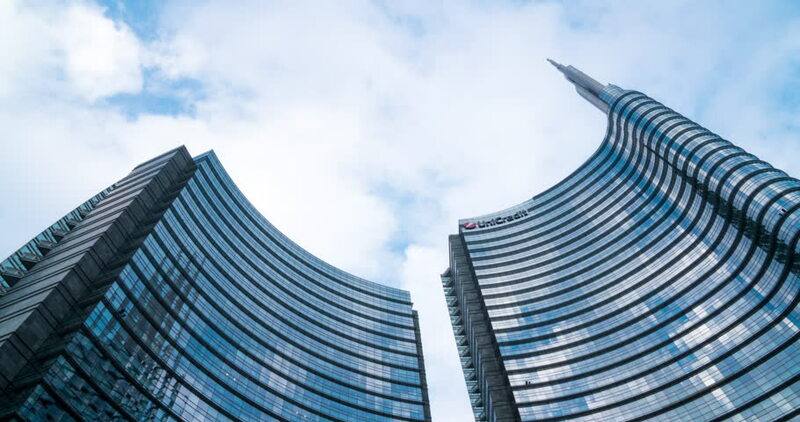 Milan, Italy - November 25, 2018: Skyscraper headquarters of Unicredit bank with background of fast passing clouds. Timelapse. 4k00:28MILAN, ITALY - MAY 15 2018: day time milan city famous downtown square up view slow motion panorama 4k circa may 15 2018 milan, italy. 4k00:06MILAN, ITALY, MAY 04 2016: New district of Porta Nuova Garibaldi - The Unicredit tower It is the second tallest building in Italy. 4k00:24MILAN, ITALY - MAY 10 2018: city day time famous modern block buildings slow motion up view 4k circa may 10 2018 milan, italy.